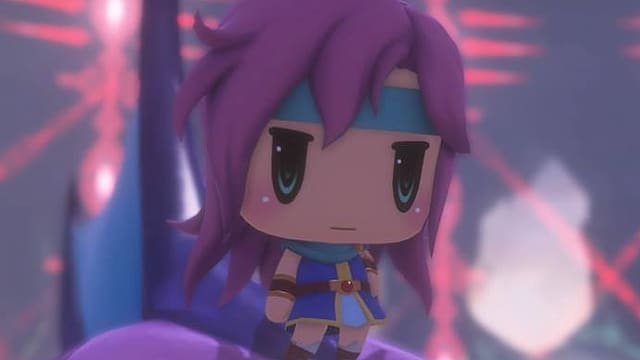 If someone asked me what World of Final Fantasy is, my first response would probably be something along the lines of "It's Final Fantasy plus Pokemon plus cute," and be right on the button. After all, that is what it is. It may be the cutest game to grace the Final Fantasy series in years, if not ever, but don't let its overly charming visage fool you. 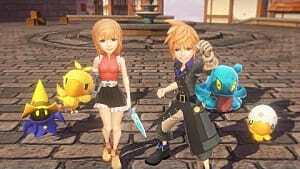 Past the game's chibi-style characters, World of Final Fantasy is a through and through homage to the series through the years, packed with characters from several Final Fantasy games and the return of the ATB (Active Time Battle) system that it used to be so well known for. Along with the return of these classic components of the series come the new Mirage capturing and stacking systems. Mirages and stacking them are the real meat and potatoes of the game -- and the game isn't so easy you can stroll through without thinking in-depth about your Mirage stacks. 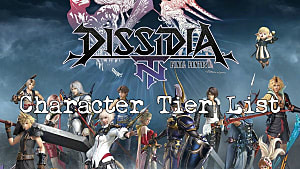 Progression in in this game is anything but classic Final Fantasy, with typical modern JRPG linearity, clear quest goals, and minimal hidden content sans rare or hidden Mirages. 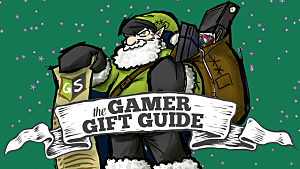 Nonetheless I couldn't recommend it more and for good reason. 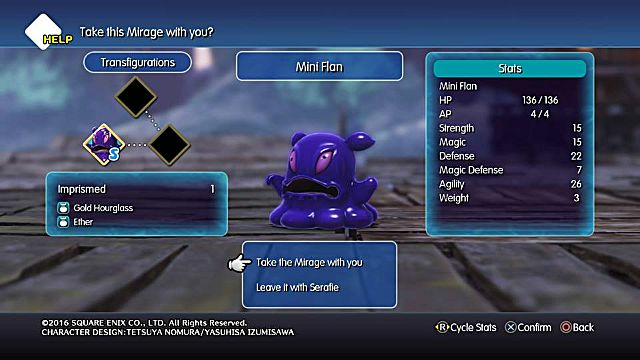 Monsters in World of Final Fantasy are known as Mirages. When you meet a Mirage for the first time,you must find out its prerequisite for capture by using the spell Libra to see its details, and then Imprism (catch) them to be used in your team lineups. Mirages you capture come in one of four sizes, from small to extra large. Mirages from small to large can be stacked atop one another and the game's main characters for stats, skills, and elemental resistances. Extra large Mirages are used solely for combat summons, as they are too big to stack. Stacking itself is exactly what it sounds like: Put two Mirages together with your character and watch the magic happen. As there are only two main characters in World of Final Fantasy, you have to make good use of your Mirage's stats to build an effective stack. This means paying attention not only to their skills, but also their stats, weaknesses, strengths, weight, and size. A stack can only have up to two Mirages, and the main characters Reynn and Lann will always be either medium or large sized, depending on which you prefer for your current stacks. 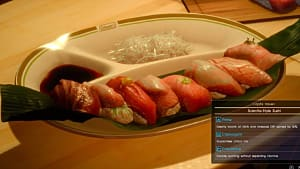 Mirages themselves are customized via Mirage Boards, which are similar to but more simple than Final Fantasy 10's Sphere Grids. You progress through their Mirage Boards gaining skills, stats, Mirajewels for main character skills, and additional transfigurations. Like any classic turn-based RPG, your enjoyment of World of Final Fantasy will be entirely reliant on whether or not you enjoy the series's classic ATB system and/or whether you can get into its demand that you adjust stacks regularly to be able to survive and thrive in battle. 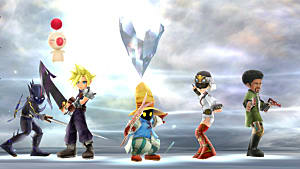 You change your stacks often in World of Final Fantasy, and not just because you want to use your latest and greatest additions to your roster. 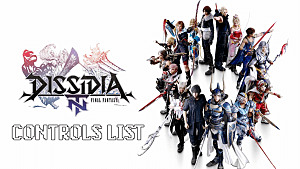 The game is heavily reliant on elemental strengths and weaknesses, much more so than most other games in the series. There are some areas where being resistant to an element will make random battles far less painful (and they can often be painful) and there are many bosses you must create stacks specifically for in order to survive. Even past elemental strengths, enemies can be tough to take down. 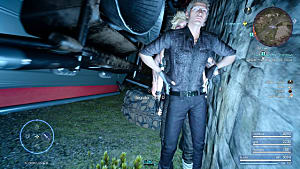 Stacks of enemies have much more health and are able to use more skills than enemies that are not, and even single-standing enemies can be a handful at times. It's not uncommon to have to revive a dead party member in battle due to a misplay. The classic ATB system that's returned for this game now has a bar at the left of the screen to monitor your and your enemy's upcoming turns and act accordingly. And for those of you who are impatient there is a fast forward button, which you will be holding often even with battle speed set to 5. Because you can see the ATB turn bar you can make use of your abilities in full. 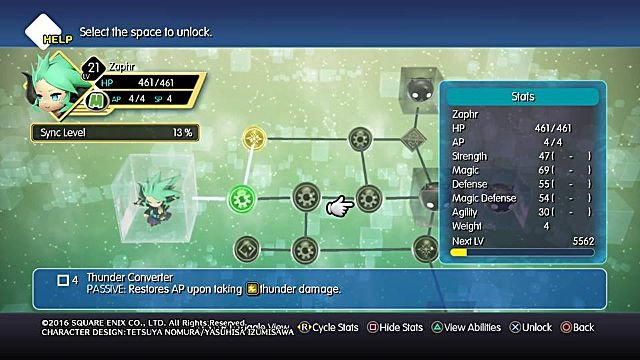 One notable use is the Defend command's taking of only half a turn instead of a whole one, meaning you can time your actual ability usage in sync with enemy attacks. The Mirage and stacking systems pair well with the ATB and you will get plenty of abilities to make good use of during your adventure through Grymoire. You're going to have to use them to survive. 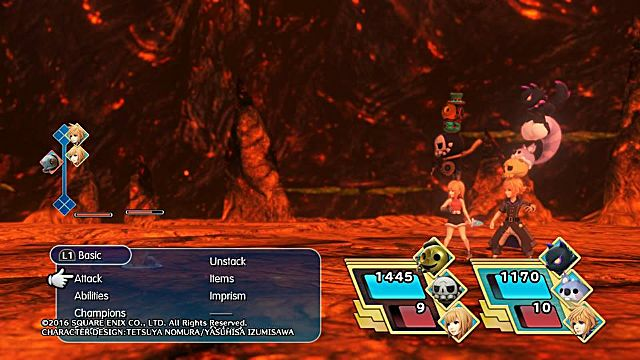 While not especially difficult, World of Final Fantasy is not as easy as it looks and past the nostalgia factor it relies entirely on its gameplay to catch you, which it does well. Many players will come to this game expecting a cutsey romp, and it is that. But it's a cutsey romp with some bite to it, and that bite is pretty tasty. Those who are solely fans of more modern Final Fantasy games and JRPGs in general may not find themselves especially inclined to give World of Final Fantasy a shot, but for older fans it's hard to imagine this game not being a must-buy. 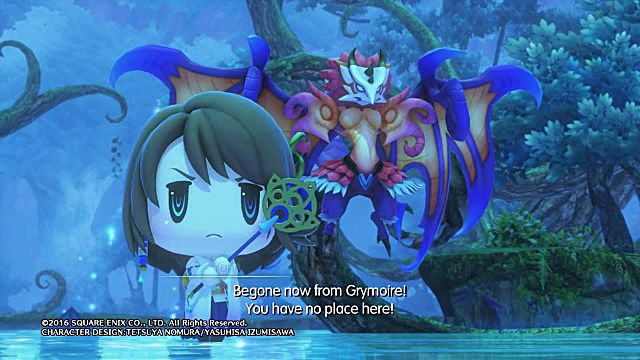 With any luck, World of Final Fantasy's cute artstyle will bring the younger generation to enjoy the ATB system and be more interested in classic entries to Square's long-running series, but this game is a real gift to classic fans. If you've passed it over simply because it's cute, you may want to give this fleshed out, addictive, and fun spin-off the attention it most certainly deserves. Just get used to holding that fast forward button.